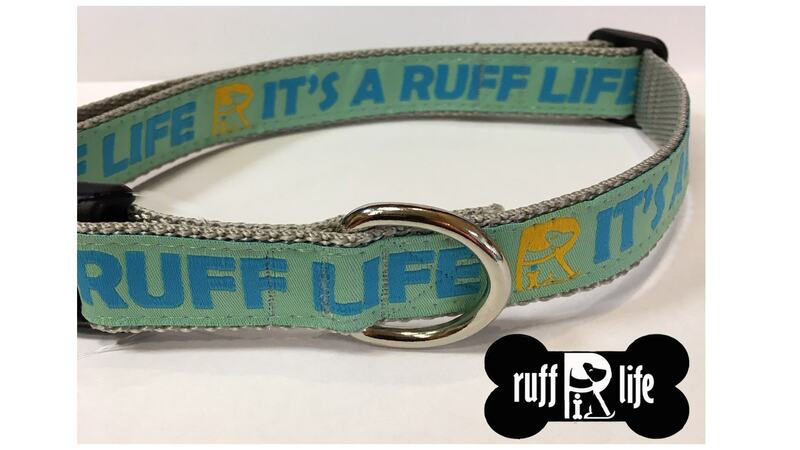 RuffLife's new collection of dog leashes/lead are handmade in the USA. 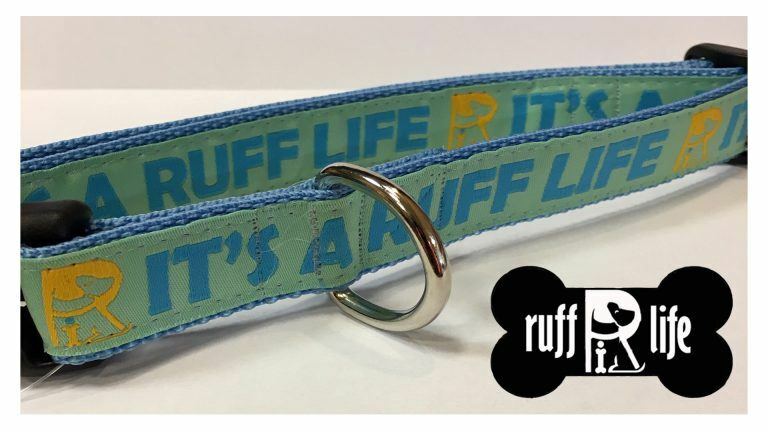 We sew heavy duty 1" wide silver \ Polypropylene Webbing to our original sea foam green, light blue and orange jacquard woven ribbon and finish it with a heavy duty stainess clip. - Small up to 12"-18"
- Medium up to 18"-26"
- Large up to 26"-32"